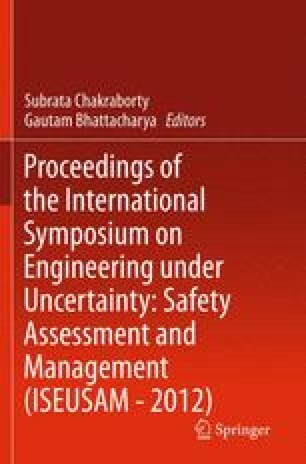 This chapter addresses emerging challenges in geotechnics in the context of the significant challenges posed by hazards, both natural and human-induced. The tremendous importance of dealing with uncertainties in an organized and systematic way is highlighted. The chapter includes reflections on responding to the need for multidisciplinary approaches. While the concepts and ideas are pertinent to diverse applications of geotechnics or to the whole of geotechnical engineering, illustrative examples will be limited to research trends in slope stability and landslide management. From time to time, researchers, academics, and practicing engineers refer to the need for interdisciplinary approaches in geotechnical engineering. However, surveys of the relevant literature reveal few examples of documented research studies based within an interdisciplinary framework. Meanwhile there is a broad acceptance of the significant role of uncertainties in geotechnics. This chapter includes reflections on what steps might be taken to develop better approaches for analysis and improved strategies for managing emerging challenges in geotechnical engineering. For example, one might start with the need to highlight different types of uncertainties such as geotechnical, geological, and hydrological. Very often, geotechnical engineers focus on variability of soil properties such as shear strength parameters and on systematic uncertainties. Yet there may be more important factors in the state of nature which are ignored because of the lack of a multidisciplinary focus. For example, the understanding of the potential for progressive failure within a soil mass or a slope may require careful consideration of the geological context and of the history of stress and strain. The latter may be a consequence of previous seismic activity and fluctuations in rainfall and groundwater flow. The frequency and consequences of geotechnical failures involving soil and rock continue to increase globally. The most significant failures and disasters are often associated with major natural events but not exclusively so. It is expected that climate change will lead to even more unfavorable conditions for geotechnical projects and thus to increasing susceptibility and hazard of landsliding. This is primarily because of the expected increase in the variability of rainfall and the expected increase in sea levels. Responding to the effects of climate change will thus require more flexible and robust strategies for assessment of landslide susceptibility and to innovative engineering solutions.